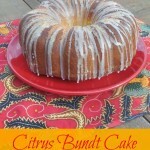 I am sure that if you visit the blog on a regular basis you know I have a fondness for the bundt cake. OK, maybe an obsession. I needed to make the hubby a cake for a meeting so I turned to “my precious” and found a recipe on the King Arthur website. 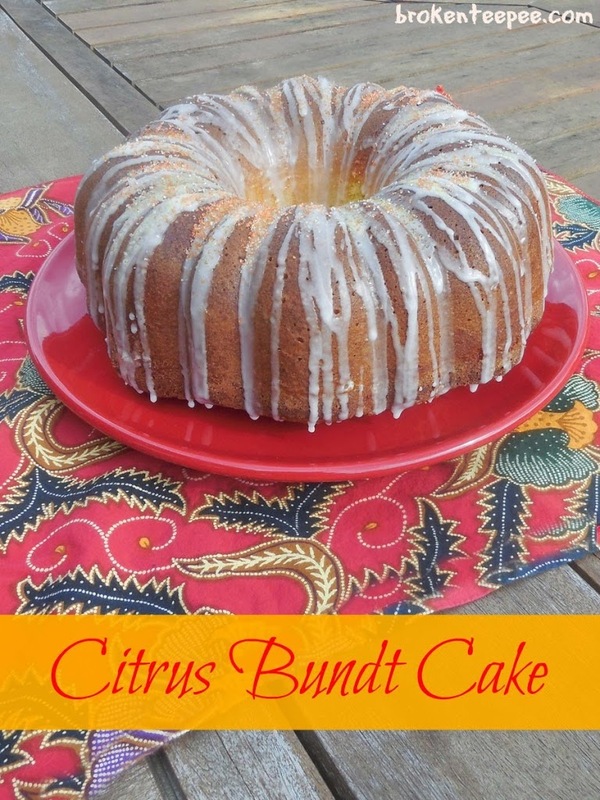 I used it as a starting point and ended up with this lovely Citrus Bundt Cake after adapting the recipe. 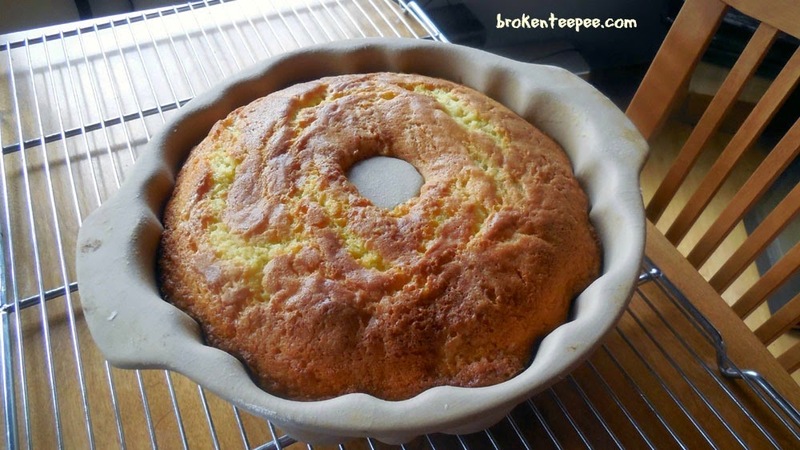 Butter and flour a 9 – 10 bundt pan or tube pan. In a stand mixer with the paddle attached, beat together the butter, blood orange oil, sugar and salt until light and fluffy. 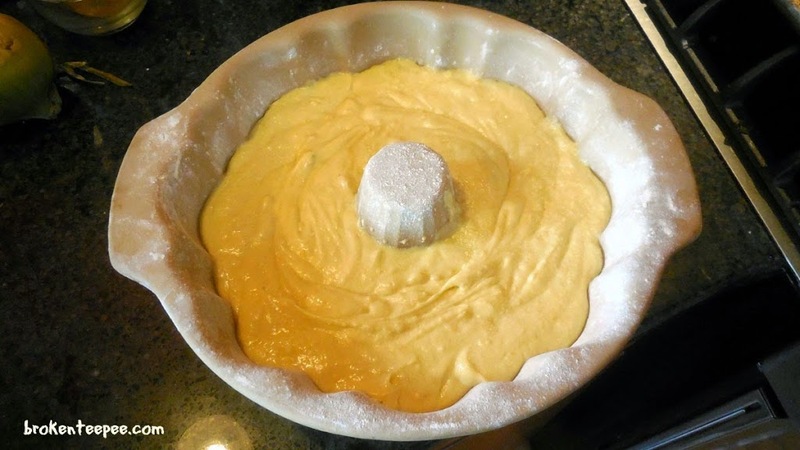 Add the baking powder, then the flour alternating with the milk, beginning and ending with the flour. Stir in the grated rind or lemon oil. Spoon the batter into the prepared pan. Smooth the top with a spatula. Bake in the preheated oven for 55 to 60 minutes until a cake tester comes out clean. Cool the pan on a wire rack for about 15 minutes and then remove from the pan to cool completely. 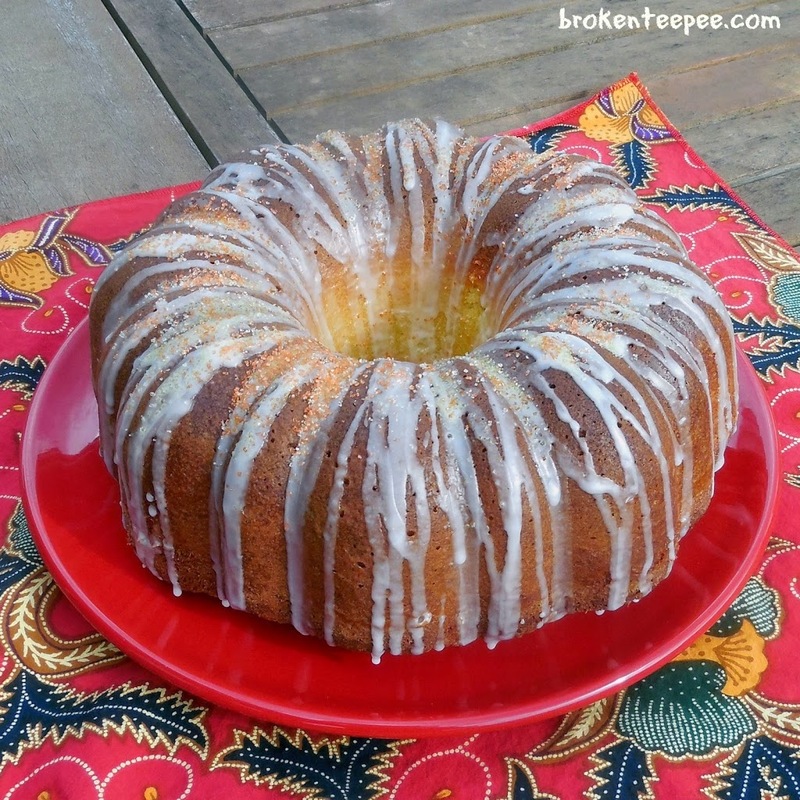 Mix the lemon juice and confectioner’s sugar to make a glaze. Drizzle the glaze over the top of the cake. Sprinkle the decorator’s sugars over the top of the glaze. Everyone at the meeting loved the cake. The hubby brought me a piece home and I got to taste it; it was really moist and had a strong citrus flavor. 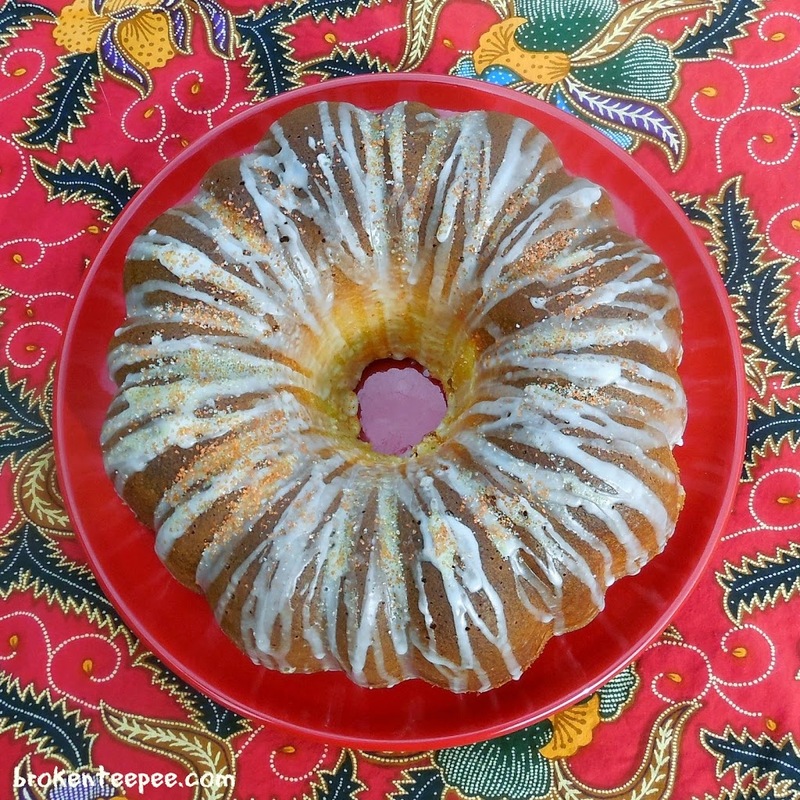 The glaze was delightfully tart and the sugars added a nice little crunch. I suspect it would be even better the second day but there was none left for me to test this theory. I’ll be making this again for sure! 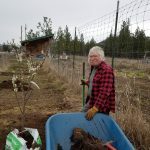 *If you don’t have Blood Orange Olive Oil you can add 3 TBS of Blood Orange zest to 1/4 cup light olive oil and let it sit for about 15 minutes. Then add that as directed.